Whats a helmet actually do? Beard said that one idea was to provide helmets with internal liners that would slide on impact and handle some of the off-axis force. But then an engineer at Trek found a paper by a company called WaveCel that seemed to provide an even better option. For the helmet, a patch of this material is attached to the inside of a more traditional EPS helmet, which provides impact resistance. 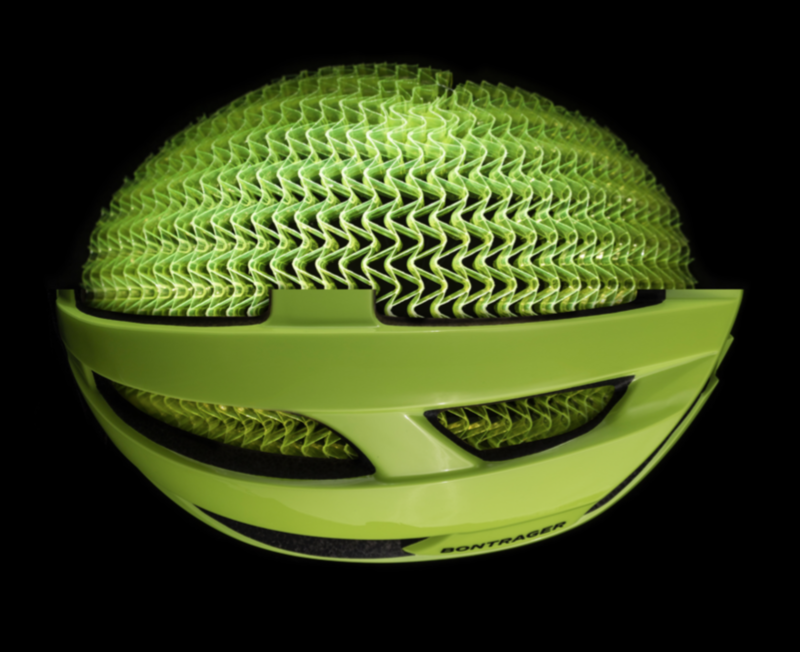 But the WaveCel mesh is allowed to float within the helmet and can absorb much of the force of off-axis impacts. The thin strips of soft material found in more traditional helmets are attached directly to the WaveCel mesh.